Morgan Jenkins built her coffee shop from the ground up, and when aliens began to come to Earth she benefited from the extra business. But caffeine affects some of the men from the planet Eroscia in dangerous ways, and new government regulations banning caffeine consumption threaten her business. So when Oliver, her alien match, arrives in the middle of her crisis, she doesn’t have the time to cultivate their relationship or the desire to deal with his version of help. As a nutrition scientist for Eroscia, Oliver is no stranger to how food can impact the body, and he’s willing to do whatever Morgan needs to help save her business. 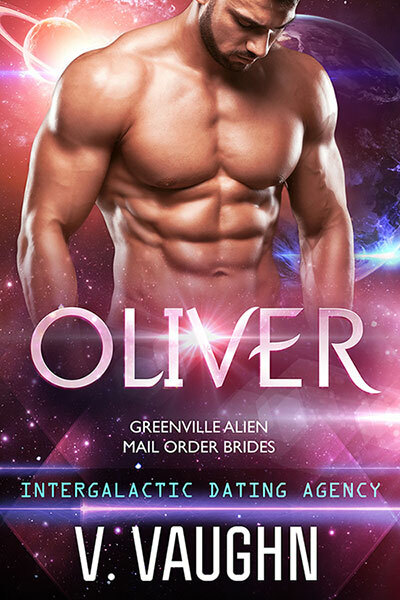 Oliver knows he and Morgan are a near perfect match, and even though his new love is reluctant to let him in, he refuses to back down. But when Oliver pushes too hard, Morgan tells him to take a hike — all the way back to Eroscia. He must find a way to convince Morgan they’re perfect partners in business as well as love.